Charlotte, USA: Since our last session, I have fallen pregnant naturally! I’m still in disbelief but I’m now 8 weeks and having a rescan on the 10th January as they couldn’t rule out twins…!! I believe it was my supplements I took religiously after following your advice. Cyfrin, USA: I am happy to say that I am five weeks pregnant. I feel great except for the usually early pregnancy symptoms. THANK YOU for your help and advice! Helen, USA: I’ve been following your advice for the past 6 months. I had a frozen embryo transfer on August 16th. Beta HCG pregnancy test came positive 240,9 on the 10th and 1086 on the 13th day of embryo transfer…It is still too early, I know, but just wanted to let you know and say, thank you. Sylwia, Poland: I am writing to let you know that after supplementing for 7 months and after miscarriage after IVF, I am happy to say I am pregnant…I want to thank you for your help an advice with supplements because I know it helped me a lot. Sheila, US: I cannot believe it but I got a positive on my home pregnancy test today! I am cautiously optimistic that it will all go well. Happened totally naturally. Will be calling my doctor tomorrow to see if there is anything special they want me to do. Hopefully my HcG keeps raising and things progress well. I just felt like I wanted to tell you! Thank you again for your encouraging words. Now I know I was on the right track! Ruyyuhug, USA: Well, further update. I’m actually pregnant! Heading into my 6th week and will be visiting the OBGYN next Monday! Thank you were so right about everything! Laura, UK: I wanted to thank you! I followed everything you said, and I am now expecting my second child at 41! I am due in December. Thank you so much. Sinead, UK: Totally unexpected and probably because I followed your advices from the book, I am pregnant (I still cannot believe it)! Of course is too soon to say something, I’ve found out last Friday, so I have a long path in front of me. Again, thanks for your amazing book, it brought hope and light into my life in a moment of true sadness. I am recommending the book to all the persons I know are going through the same experience. Ana, USA: I am 37 and my husband is 42. Doctors could not find any obvious reasons why it did not work for us and advised us on keeping trying. Me and my husband immediately started taking the supplements following your recommendations. 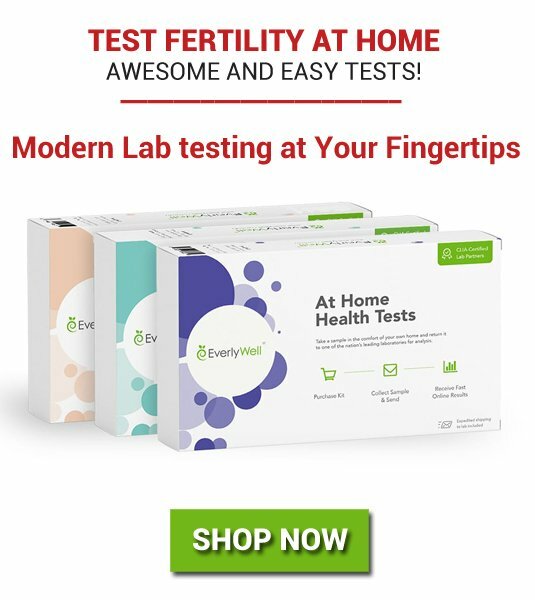 For my husband it definitely worked well because we did the sperm quality test before and after taking the supplements and it improved quite significantly. I fell pregnant after three months and now I am in my fourth month of pregnancy. Sanela, Bosnia: Evo sad sjedim i ljuljuskam svoje malo zlato i sjetih se da vam se trebam javiti. Ja sam krenula u IVF jer je moj AMH bio jako los, a muz je imao los spermiogram. Iako je sva statistika bila protiv mene, postupak je uspio iz prve. Ja sam beskrajno zahvalna Bogu na ovom daru. Vasi savjeti su bili odlucujuci i puno vam se zahvaljujem! Michelle, USA: My call with you was extremely helpful. It was clear you carefully reviewed the information I had given you ahead of time about my case, and you gave me personalized advice for my individual situation. Even though I’d been taking supplements for a while, after talking with you I realized I could tweak some of the supplements & also increase some doses & my diet for better egg quality. You also helped me figure out what questions I should be asking my fertility doctor to make sure I am getting the best possible treatment & protocol for my situation. Most of all you helped me realize there is still a lot of hope for me to have a baby. Thank you so much! Courtney, USA: Darja’s counseling session offers all that we don’t get during doctor’s appointments; explanations, information, suggestions and comfort! If we are to take this journey, we need all of those, that unfortunately we don’t always get at Fertility Centers. It gives us more confidence and determination for what comes ahead. Ebru, Germany: My session with you was extremely helpful. Your enthusiasm to ask so many questions about my complicated fertility history uplift my energy beyond comprehension and created a feeling of optimism I never had in any treatment I went through till now. Mary-Dolores, Canada: You helped me gain confidence again. 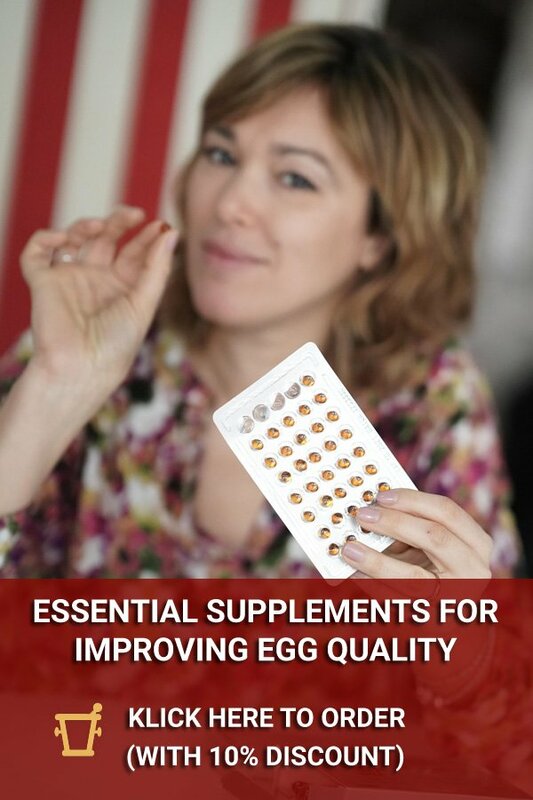 With her support to understanding my body, I can now follow natural ways for me to be strong, to improve my egg health and best promote fertility. Yasmin, USA: Thank you so much for offering your fantastic counselling sessions, you’ve helped me prioritize and put things in a bit better perspective. I wished I met you much earlier. Courtney, USA: From the beginning of our correspondence, Darja was extremely responsive and caring. She is very knowledgeable and was able to share her expertise with me and made practical suggestions that I could implement them in my everyday life. She spent a lot of time with me on the phone to help me understand my body and fertility. Phensy, USA: My session with Darja really helped me clarify the decisions I need to make. Her answers were clear and science based (I need statistics! ), whilst being friendly and open to all of my doubts and questions. 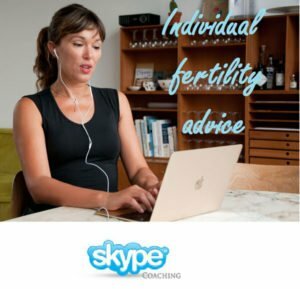 I highly recommend a session if you are looking for clarity in the next steps you should make to take control of your fertility. Lisa, USA: Thank you for your time this morning. I do appreciate you taking the time to go over all my results with me. You have opened my eyes on some things and given new hope to what I was told is a lost course. Linda, Norway: I just would like to send a sincere THANK YOU for the time you spent on my case and on the Skype coaching with me. Noelle, USA: I appreciate the fact that you came prepared to the call and I didn’t have to repeat all the details – specifically the painful ones. Thank you very much for your kindness, your willingness to help, your openness and your support. Dave and Sheri: Just a short spontaneous email to say that my wife and I really enjoyed our Skype consultation with you. It was incredibly informative. We have already implemented many of your recommendations. We also bought your book the same day. It’s an excellent read, fully of really useful information. Thanks again, and we look forward to speaking with you again later this summer. Jennie, USA: Many thanks for taking the time to look at my test results and give me advice on this. I wish I had found your website a year ago! I have been reviewing this all week and am LOVING all the information that you have included on here. Maja, Slovenia: Remember how I have PCOS and my partner had TESE before we talked in 2016? Now, after 8 months of supplements as you said, we had I had 10 eggs, 7 were fertilized and 4 made it to day 5. So, we transferred 2 and the other 2 will be frozen. Great, right? Emilija, Croatia: Jucer ujutro sam imala punkciju i odlicno je proslo. Najbolje od svega je da smo dobili 5 js, premda su na folikulometriji samo 4 folikula izgledala dovoljno zrelo!!! Doktorica i ja smo se nadale da ce biti bar 1-2 dobre stanice iz ta 4 folikula koja smo pratili, tih 5 mi je kao jackpot! 🙂 Hvala za tvoju pomoc, sigurna sam da su lifestyle changes i supplementi koje sam dogovorila sa tobom to omogucili! Thandi, UK: I am in my 40s and am trying to conceive. I have been reading a lot about increasing egg quality, but talking to you was by far more useful than any of the resources. For the past 3 months, I have been taking the supplements suggested by you and I now ovulate regularly. This has been confirmed by Clear Blue fertility monitor I am using. So thank you ever so much for the information you’ve given to me. Amalia, USA: It was reassuring to speak to someone who understands the scientific background of my diagnosis and the impact of the medications and supplements I am taking on my body. I feel like so many people with infertility issues are left confused about how to move forward. You were able to provide me with direction, support, and renewed hope in my journey. At first, I was unsure if I should reach out, but am so happy I did. Thank you for your quick response, encouragement, and genuine interest. I feel comforted knowing there is someone who understands and is available to help answer my questions. Frankie, USA: Thank you for making yourself available for 1:1 sessions. It felt great talking to you, thank you so much for answering all the difficult questions asked by my husband and myself…Thank you for all your help so far Darja, we look forward talking to you again! Kumaresa, India: My wife is now 40. This is our second time doing IVF. This time, we managed to get 4 eggs with excellent quality. All developed into embryos and were frozen on day 3 for later implantation. The lab folks said all embryos looked very good (compact, even, no fragmentation). I certainly feel that all of this was only possible with the guidance you have given us six months ago. We are very thankful for you! Christina, Spain: I’ve loved our conversation today. It’s not only what you tell, the way you do it is amazing! I felt as if I were having a conversation with an old friend who was trying hard to help me in this difficult journey. Denisse, Peru: I loved the friendly and open way I talked to you, Darja! I felt comfortable to tell her my doubts. You had so much patience and understanding when answering any questions. Thank you! Aida, Bosnia: Talking to Darja is like talking to an old knowledgeable friend. Her guidance has been precious in one particularly difficult moment, allowing me to trust myself and my inner self. Melina, USA: Even the doctors I meet don’t explain as well or give me constructive tips like you do. You truly understand the situation I am in and your topics seem to cover every problem I face. I think all the supplements you suggested have helped me. Thanks to Skype and the internet, I can meet and talk to you halfway around the world. I believe that I am getting the best advice from someone from a unique background, at a time when I need all the help I can get. You were so thoughtful, warm, kind and professional. Thank you! Nazlie, USA: First of all you are totally awesome. I LOVE your site. I am a PhD biologist myself and really appreciate your scientific approach. 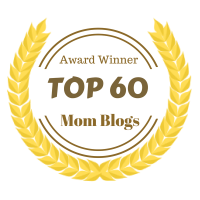 C.J., USA: I really enjoyed exploring your blog and it’s fantastic content. I truly believe you have an excellent blog that leverages your Ph.D. credentials to provide a unique approach regarding reproductive health and fertility nutrition. Jennie, USA: Thank you so much on behalf of woman everywhere for being there for so many woman who have very few places to turn to for support and education on this (sometimes taboo) topic. Katie, USA: Thank you Darja Wagner for sharing so much precious information with us! I will send you a picture of my first born! Inna, Singapore: Somehow with all these celebs getting pregnant at 45 we all lose a sense of reality. Spreading the real knowledge about fertility is extremely important, thank you for doing that! Jasmine, Germany: I love your articles, Darja! I feel that I have so much respect for you as a scientist, human, adviser, advocate. One day I would like to meet you personally and to thank you for all your support. Hannah, Australia: I have been very impressed with your website and blog and the depth of information you provide and knowledge you possess in this area is wonderful. Nan, Australia: Your knowledge and experience and your passion is impressive. Inna, Sweden: I have found your blog in Internet and I have been reading it nonstop for 2 days. It is very interesting and enriching, thanks a lot for this information! I think the knowledge you are spreading is very valuable. 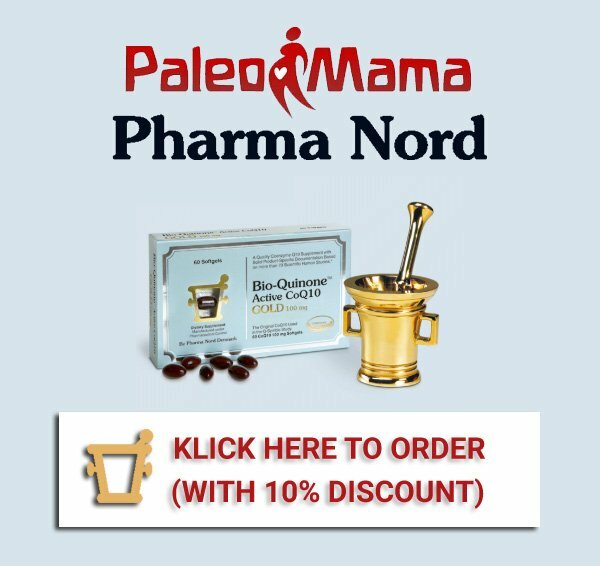 Nina, Tbilisi: Thank you very much for the enormously useful information I got from your site, it gave me a detailed plan how to maximize quality of my eggs and lots of hope that I will become a mother soon. Fiona, Uganda: I enjoy your blog, the tips you give are eye opening. Erin, USA: After reading your book we followed your recommendations (diet, Coq10, dhea, etc). 4 months lateral, today we are in our third IVF cycle, and we obtained 6 oocytes! That’s a lot compared with the previous two unsuccessful cycles (1 and 2 oocytes only, no fecundation after IVF). Thank you, Darja! 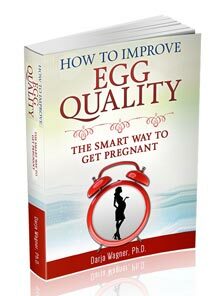 Cindy, USA: I started searching about infertility and I’ve learned about egg quality diminishing as women are getting older. I recognized shortening of my cycle as a symptom of my eggs getting weaker and my fertile age coming to an end. I kept reading about discouraging statistics; low percentage of women my age getting pregnant in the first place, high risk of abnormalities, complications and miscarriage. More I read, more miserable I felt, but then I found your blog and new hope. Vera, Serbia: Thank you for writing this blog, for investing your time in reading scientific papers and “translating” them in language that everybody can understand and even more for your honesty of sharing your personal experience. Kim, Singapore: So thank you again for your effort and for helping people!!!!!! I so LOVE your book! Fany and John: Fantastic book and really helpful to understand the complexity of this process better. Fiona, UK: The book was really wonderful and I feel empowered by it! It is such a powerful resource and highlights what a disparity there is between our understanding of fertility and reality. Jennifer, UK: Outstanding work. That really does represent a lot of research. It was a fascinating subject for me to read. Thanks so much for writing it. Amy, USA: I appreciate so much the work you’re doing, and that you actually talk to the women who have questions. It’s simple very admirable and awesome. Marie, Canada: I`m so grateful I’ve found this blog! Just think – I’ve been using the internet for six years but it`s the first time I found such useful information! Thank you! Katika USA: A read of Hope! If your parenting dreams have been shattered by doubtful family members, friends, medical practitioners and strangers alike after failed attempted to get pregnant this is the book for you! Zuzana, Czech Republic: The last, but definitely not the least – THANK YOU one more time for an amazing book you have written – well researched and nicely explained to the non-scientific reader such as myself. Naomi, Singapore: Believe it or not, YOU ARE MAKING A VERY BIG DIFFERENCE IN A LOT OF WOMEN’S LIVES, thank you! Ciara, Italy: I’m really glad to came across with those and very impressed about the amazing work you do with regard this! Congratulations. I am a biologist as well so every single detail interests me quite a lot. Kirsty, USA: I have just found your website and am blown away with the advice on it. I can only compliment you on taking the time and effort to share your expertise with women like myself who are desperate for a child. Kylie, USA: Thank you for your website. It has provided me with some answers and guidance that I have found difficult to get anywhere else. Alanna, UK: I find your site to be an endless resource of positive, focused and clear advice on how to help fertility at an advanced reproductive age. Caru, USA: I stumbled upon your fabulous site today when I googled “Vitamin D for Fertility”. Can I just take a moment to say how heartwarming it is that you are sharing your knowledge, personal experience and expertise in such a selfless and philanthropic way? You’re truly awesome. Jeniece, PA, USA: I have stumbled upon your websites, as many women have I suspect, in search of knowledge, answers, ideas, hope, etc, etc. What an amazing wealth of information you have shared. I love the science behind it. I would greatly appreciate your opinion…..I feel that everything about you (background in a hard science, being a mother, having so much knowledge on the topic and having heard so many stories and yet not being a Reproductive Endocrinologist) provides a unique perspective. Meghan, USA: There is a real lack of informed science-based information about fertility and pregnancy written for the lay person and your work is so valuable. I wanted to thank you for your book and websites and for sharing your story and research. It’s hard to find rational, scientifically-minded and also warmly humorous information on this topic! Veronica, Italy: I am a pediatrician and a geneticist. I know the problems you’re addressing. In search for answers to my own issues with egg quality, I started researching on PubMed. I found about CoQ10 and Dhea. Today I enjoyed a lot reading your wonderful book where you say the same. So, I am here to congratulate and thank you. I will follow your advices, this time with a feeling that I’m doing everything possible to get a healthy baby. I am so disappointed that doctors who deal with infertility do not study biology and science of this topic more. That really upsets me. So much suffering that could have been spared, so many warmly wanted kids unborn. Mojgan, USA: I read your book and I absolutely loved it! I loved the fact that it was so complete and at the same time so simple to understand. Lisa, USA: I posted a five star review of your book on Amazon, but want to say once again THANK YOU for the work you have done to get information on how cutting edge supplementation can change fertility. I don’t think I would have had a chance without the extensive supplementation, diet and exercise program that both my husband and I are on. We worship our health and love our lives. Thank you for sharing what you know with the world. Michelle, USA: I found your book extremely helpful and I’m already incorporating some of your advice into my daily life. I particularly liked how straightforward your book is. The chapters are concise and the information explained simply, which is what I wanted. My goal was to get through the information as quickly as possible and get started. I don’t need huge amounts of information and I felt that you had given enough to establish the validity of everything you recommend. Susan, USA: I hope many other women do read and review your book. I think it’s terribly sad that women aren’t aware of what they can do to help their fertility. I have seen for myself how difficult and confusing it can be for a woman over 35 to find the correct information on the internet. Andy and Susie, Australia: Thank you so much for your wonderful book, which we found to be a great educational resource. 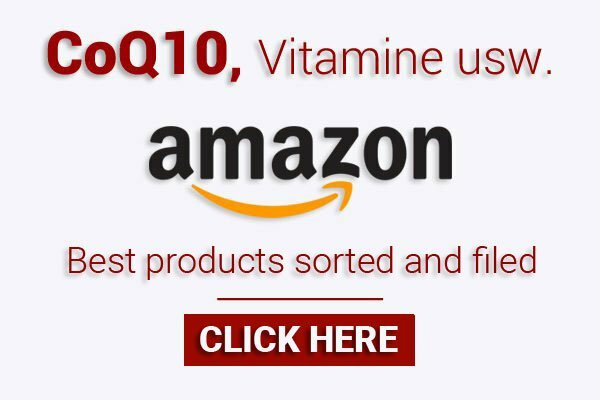 We found the section on supplements, including CoQ10 very helpful. Mark and wife, USA: This book consolidates the information from hundreds of medical and scientific papers. It provides essential information to couples who want to get pregnant especially at later stages of life. The information contained in this book will probably not be given to you by your ivf clinic, however it is essential to your success. Annie, USA: Although I believed the research I have done has made me aware of most of the information related to infertility, I truly enjoyed your book, and have learned many new things that helped me get confident that soon my little one will soon have a brother or sister! Here you will find many more reviews of my top-rated book. When you need me, please make a simple donation as explained here, send me an e-mail to darja.wagner@googlemail.com and we’ll schedule a Skype-appointment.